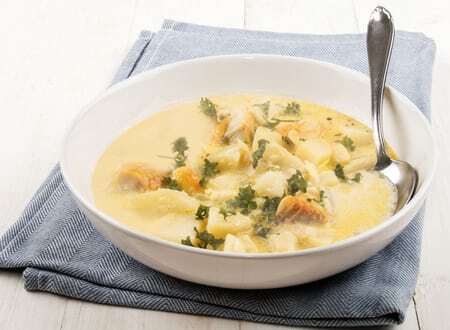 Seafood Chowder Add-on to Order | Cape Porpoise Lobster Co.
Do you want to serve more than just lobster during your next special dinner? 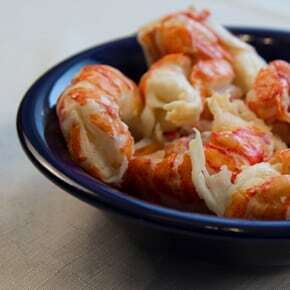 Get the table warmed up for the main course by serving Cape Porpoise Lobster Co.’s traditional Seafood Chowder. 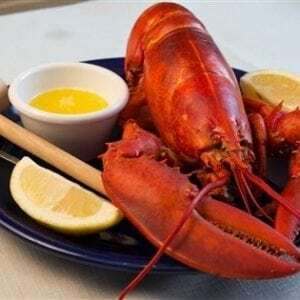 It features a rich blend of haddock, scallops, clams, Maine shrimp, and potatoes, and we offer it at a deep discount to those who add it on to any lobster or other seafood order. 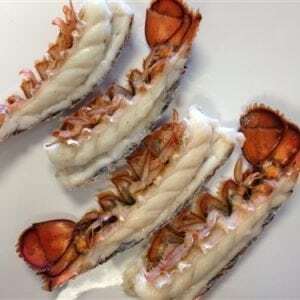 Spice up your feast by putting this in your cart along with your main meal and receive free overnight shipping on both.